Found this interesting article about a black bear walking into Bartlett High School, BHS is an Anchorage High School located near Elmendorf Airforce Base and Fort Richardson Army Base. There are two awesome videos that accompany this link. The videos are the actual security camera footage of the bear walking into the High School. So wild! What is it with bears in Alaska these days? A bear that wandered into an Alaskan high school is the target of a study to determine bear movement patterns, with hopes of predicting their movements so that dangerous human interaction is minimized. A young black bear roamed into an open door of Bartlett High School in East Anchorage last Wednesday, June 13. The door was open because the school was partially under construction. Word the bear spread and the school was evacuated as police arrived. When officers banged on the doors, the bear ran out of the building scared. It headed to a wooded area at the corner of a parking lot. View a security tape of the bear inside the school embedded below. Within an hour, state biologists Dave Battle and Sean Farley arrived on the scene with a dart gun and a radio collar they hoped to attach to the bear but they were too late – the bear had already fled. Their intention was to monitor the bear for a study meant to better understand bear movement in urban environments. 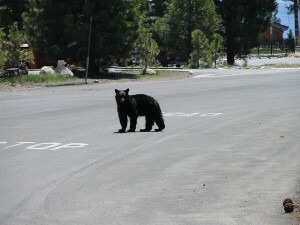 The biologists want to radio-collar four bears that dwell within city limits. They are not interested in bears that spend most of their time closer to Chugach State Park. If the first four collars work properly and the data is valuable, then the study could be expanded. So far, one bear has been collared. 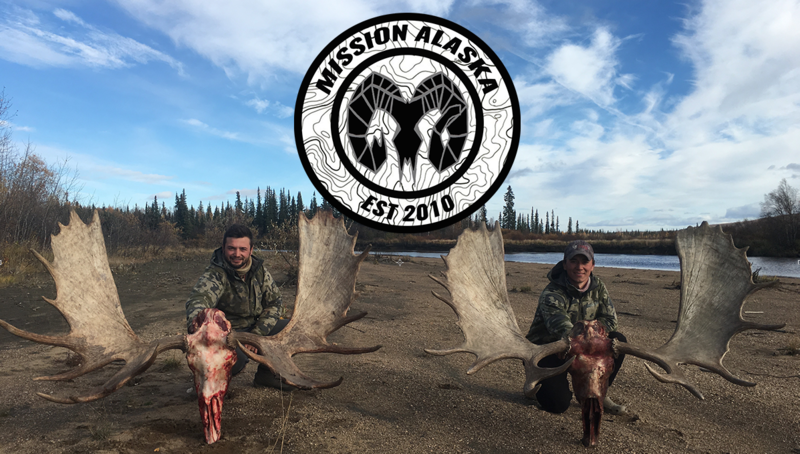 “We just want to know where they’re going and see if there are any patterns that they have that might reflect overall what the bear population is doing,” Farley said. Three brown bears have already been shot near Anchorage so far this year, while smaller black bears have been spotted in public, including two sightings in two hospitals and near several trash cans. The bear that actually wandered inside a building has not yet been witnessed before. In the video below, a biologist explains more about the radio-collared bear study and exactly what information it will gather. Pretty ironic that Bartlett’s mascott is a bear!